Dr. Alberto Gobbi was born in Milan, he graduated in 1983 at the State University in Medicine and Surgery with full marks and honours presenting an experimental thesis on traumatology in motorcycle sports, after a brilliant racing career in motocross at the national level. As an athlete then a medical student and thereafter a sports doctor, Dr. Gobbi was named "Azzurri of Italy" in 1984. In 1988 he obtained the title of specialist in Orthopedics and Traumatology from the University of Milan with the highest marks and honours. Later he continued his training with a further specialization in Sports Medicine at the University of Genoa obtaining top marks. His professional activities started at the office of his father Augusto, a university professor specialized in occupational medicine and haematology. Winner of a scholarship from the national orthopedics Society SIOT he went, on the advice of prof. Alberto Diara, to the USA first to the County Hospital in Los Angeles and later at the prestigious institutes of Kerlan-Jobe and the Southern California Orthopedic Institute, also in Los Angeles. He worked for several years in close contact with the major American exponents of orthopedic surgery and sports medicine including Frank Jobe, James Fox, Steve Snyder, Bob Jackson, Richard Steadman and many others considered the giants of American arthroscopic surgery. In 1996 he became an international member of the American Academy of Orthopedic Surgeons (AAOS) and of the Arthroscopy Association of North America (AANA) were he was awarded the title of "Honorary Member" in 2004. At the same time in Europe Dr. Gobbi established a solid friendship with Swedish professor Lars Peterson, inventor of cartilage transplantation. This relationship gave rise to an enormous interest in regenerative medicine and Dr. Gobbi became part of the ICRS scientific cartilage study and participated in many International conferences. In 2003 he was appointed as a board member of the International Society of Arthroscopy and Knee Surgery (ISAKOS), where he continues to this day. 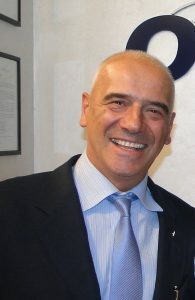 A pioneer in cartilage research and the possibility of preventing arthrosis, Dr Gobbi has been a member of the International Cartilage Regeneration and Joint Preservation Society (ICRS) for 20 years becoming a member of the General Board and then Secretary General until becoming its President for the two-year period 2018-2019. Founder and president of the OASI Bioresearch Foundation Gobbi onlus, located in Milan and recognized as a non-profit medical research organization by the Ministry of Health, Dr. Alberto Gobbi lends his work to the research and development of Bio-orthopedics, helping young doctors with international scholarships. For over 25 years he has been a speaker and moderator at many national and international conferences and has published over 200 scientific articles in international journals as well as books and chapters of orthopedic treatises and scientific research. Today he divides his time between clinical activity and scientific research in Italy and the USA, having received in 2014 the position of "visiting professor" at the University of California at San Diego U.C.S.D.